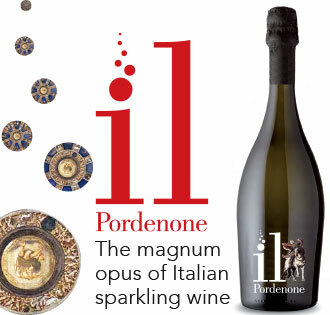 Diamonds are still being touted as the ultimate present – for Christmas or anytime. 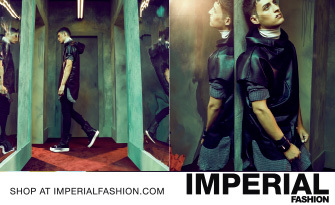 Do they deserve their status as the ultimate status symbol and investment too? Mark Beech investigates. 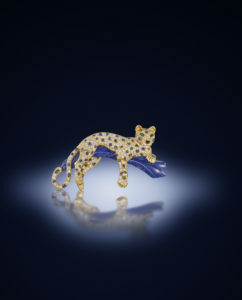 Something pretty extraordinary happened at Christie’s auction at the Four Seasons Hotel des Bergues in Geneva, Switzerland, on Wednesday, May 18, 2016. The sale was lively, even laughter-filled at the start. 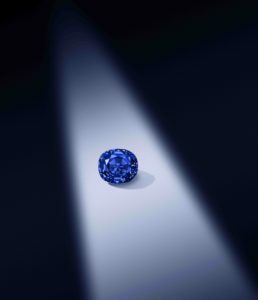 Rahul Kadakia, Christie’s international head of jewellery, said all bids were welcome for a once-in-a lifetime gem, the 14.62-carat “Oppenheimer Blue”. It had been estimated at 38 million to 45 million Swiss francs. The price crept up, agonisingly slowly but surely, to overtake this level. 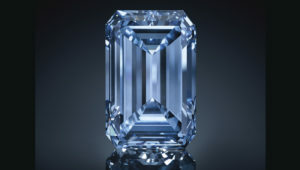 The atmosphere got tense as it surpassed the $48.5 million for the 12.03-carat “Blue Moon” diamond sold at Sotheby’s in Geneva in November the year before. The battle narrowed to two determined phone bidders. By now there was awed silence. We were looking at a record for any jewel at auction. Kadakia stayed calm. The battle lasted 20 minutes. Finally the hammer came down to deafening applause. History had been made. The figure on the indicator was about 50.7 million Swiss francs. Adding fees, as is the usual auction-house convention, the final price was 56.8 million francs, the equivalent of $57.5 million. That is quite enough numbers, suffice to say this is a huge sum in any currency. Still, there would be plenty who think he has a point. Diamonds are unique, but prices have been doing nicely thank you. What a lot of fuss about these metastable allotropes of carbon, where the carbon atoms are arranged in a variation of the face-cantered cubic crystal structure: also known as diamonds. Diamonds are a girl’s best friend. Especially, it seems, if they are blue or pink. The allure of these gems is shining brighter than ever in a sophisticated market that remains complex but buoyant, with coloured stones zooming to auction records. So what is going on? To find out, DANTE went to the top. Ehud Laniado is the Monaco-based seller of the “Blue Moon of Josephine” and the “Unique Pink. He is the chairman of Cora International LLC, which cut, polished and sold both these stones. He has 40 years of experience, starting off with rough diamonds. 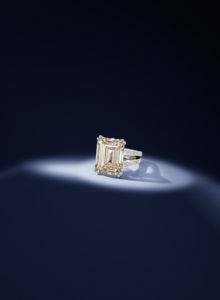 The vogue for coloured stones, he says, is “intimately connected with the outlook for top end diamonds as a store of wealth and an investment asset.” So not just beauty, then. World-class stones rule, especially the blues. 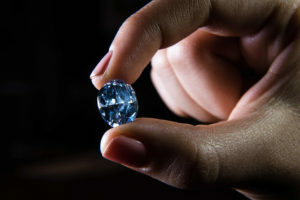 “Ever since I was fortunate enough to sell the ‘Blue Moon,’ owners of rare and precious diamonds have been coming forward to capitalise on the re-sale value of their diamond treasures,” Laniado notes. 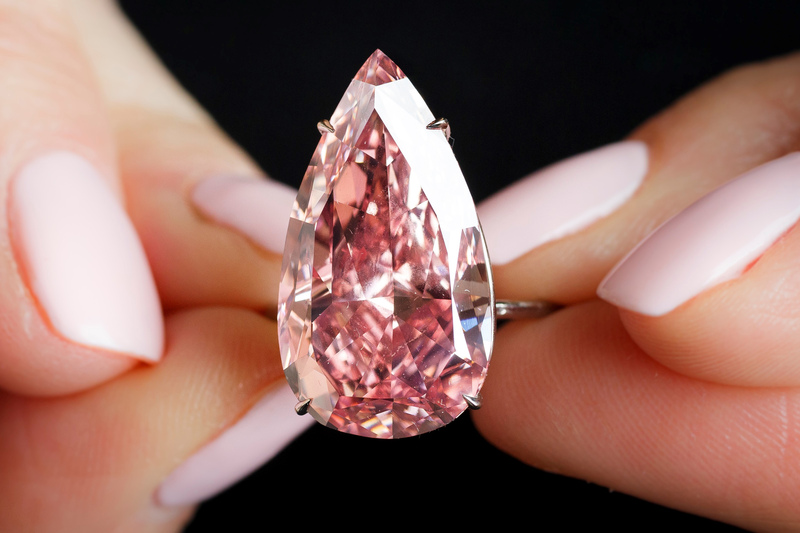 Magnificent Jewels & Noble Jewels Sotheby’s Geneva, May 2016 THE UNIQUE PINK 15.38-carat Fancy Vivid Pink diamond Sold for $31.6 million WORLD AUCTION RECORD FOR A FANCY VIVID PINK DIAMOND. His dream of education on the rarest top stones makes sense – both for coloured and white diamonds, because while sales of very rare coloured stones receive a lot of attention, even a white one carat D flawless diamond is a rarity. Dealers in many other alternative-investment classes, such as wine, classic-cars and painting, have been hinting at similar things: while collectors may be choosy over some works which are not stellar or overpriced, there is always a strong market for the best, the museum-quality, masterpiece with good provenance. People have to understand what is on offer. Even so, Chinese demand is changing as the country moves to services from manufacturing, he says. Indian and U.S. buyers are also watching prices and volumes, with a concentration of demand around 0.3 carats to 3 carat diamonds. The price of a one-carat diamond today is lower than it was in 2010, while the Mercury Diamond Global TrackerTM indicates that the price of far larger diamonds are 10% higher than they were in 2010. Blue is the colour to go for, because they are rarest, followed by pinks. The Fancy Color Research Foundation said that in the second quarter of 2016, blues saw a rise of 1.1% in price, pinks a rise of 0.7%, while yellows, as a result of sluggish U.S. demand, saw a decline of 0.5%. In trying to establish a price, consider the 4 Cs: cut, colour, clarity and carat weight. If there is a flaw in the stone, ask where it is and can it be seen when set into a ring. One way to find out more is to use the Mercury Diamond Price List (TM), which is available to the public. More words in favour of coloured diamonds come from Tobias Kormind, managing director of 77 Diamonds. He says: “In the last year, we have clocked a marked uplift in the number of searches on 77Diamonds.com for coloured diamonds. We’ve had a footballer call up and based on a picture of the actual diamond and the GIA certificate, he sent a trusted party round to pick up his $1m yellow diamond without further inspection. When someone has their heart set on a diamond, we know that nothing will stop them. But information is everything when it comes to diamonds. 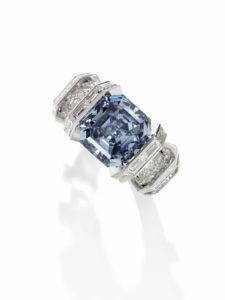 Big-spender collectors, particularly from Asia, increasingly have their eyes on loose stones for investment and they are extremely well-informed about both diamond quality and pricing when making a purchase.” While 77 Diamonds, the largest online seller of diamond jewellery in Europe, designs predominantly with white diamonds, it sees growing interest in yellow, blue, pink and grey diamonds available, ranging from £1,000 to £3 million. While in a world of natural unfairness there are those who see multi-million prices at auction as obscene, attractive things will always sell for top prices. 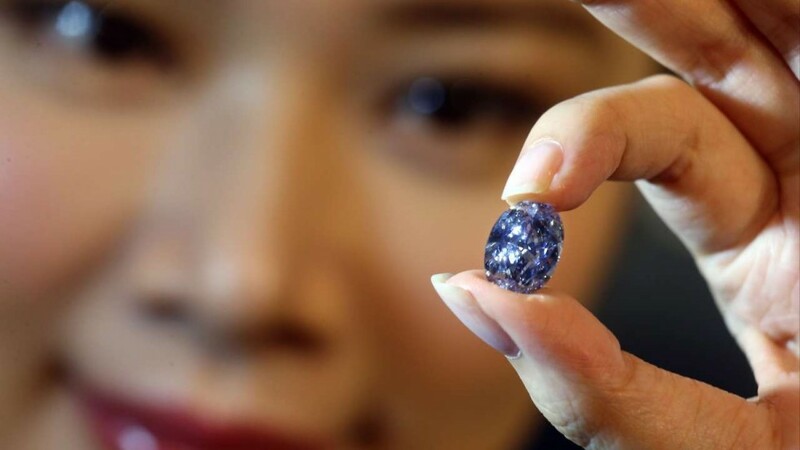 Perhaps it is an argument of the socialistic or jealous: If a billionaire X didn’t buy Y stone and gave the sum to charity instead, as they might like, well, billionaire Z would certainly buy the gem instead. Like in the classic-car market, many are reassured that prices are anchored to reality. Ferrari dealers scoff at suggestions their classic prices will balloon and then collapse like the Tulip market once did, because it they are easing up gradually, with overpriced models simply not selling and others fetching levels consistent with carefully-constructed estimates. Also, auction purchases can circumvent rules on portable wealth and corruption – most collectors of all kinds see their purchases as a store of value, an investment and asset. Most buyers will see them as things of beauty beyond compare. One might wonder what the 530-carat Great Star of Africa would be worth in the British Crown Jewels if it were ever sold – yes, it would certainly pay for a few hospitals but the truth is, nobody knows: it would be like asking for a piece for the Mona Lisa or Picasso’s Guernica. 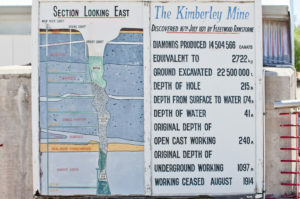 One of the most exciting things is that diamond mines are continuing to unearth gems. It may be today, or tomorrow, it may be 100 or 1,000 years’ time, but the most perfect diamond must still be out there and as yet undiscovered in the ground. Worthy of wearing by a Queen, an Elizabeth Taylor or collector perhaps, but we can all marvel in wonder. 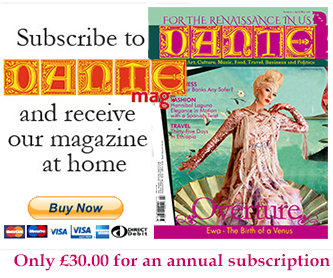 With contributions from Suzie Solna.